I got this book in a book fair. It is an Ok book. It could have been better. It is just a typical US American story line. I have seen a bunch in movies. I did not learn anything from it. I just read it. I do not recommend it. 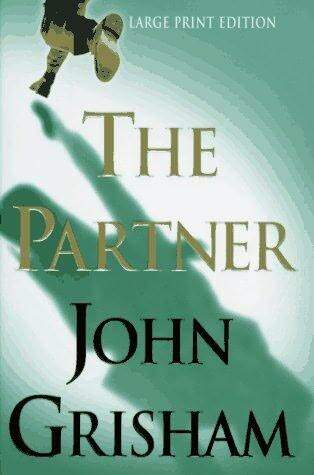 Its not just a typical American Story Line..The Partner is a really amazing thriller with ups and downs,and shows how an ordinary lawyer can keep big corporations goofed and walk away with their money by his meticulous planning. John Grisham is a great story-teller. Don't be unkind to the author, there's a reason why his books are bestsellers. Sorry for the late reply.. you are absolutely right John Grisham is so popular and I believe he is beacause of his books. I think I am not just a fan of his genre. he sure is a great story teller and I consider myself fortunate to receive a free copy of his book.